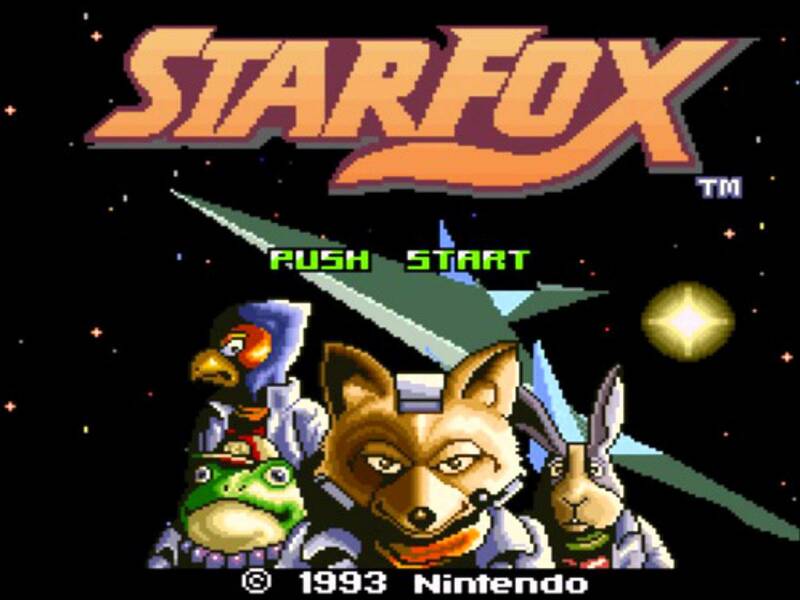 This month in history, Star Fox released on the Super Nintendo Entertainment System in North America. 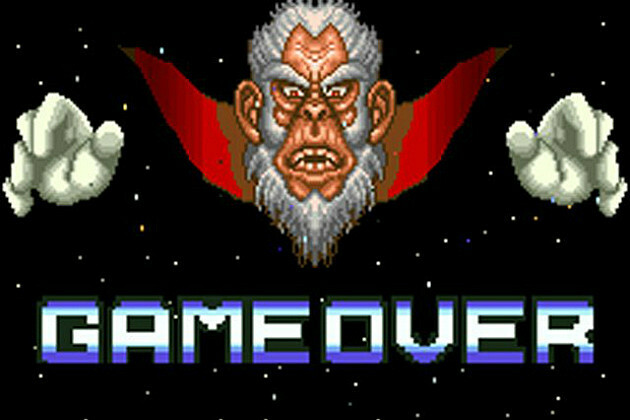 On March 26, 1993, less than two years after the SNES launched in North America, Nintendo fans took to the stars to combat the evil Andross and his minions. We were introduced to a motley crew of pilots fighting for the good planet Corneria. Fox McCloud (the leader), Falco Lombardi (the mouth), Peppy Hare (the encourager), and Slippy Toad (the screw up) piloted their Arwing fighters across the Lylat system to combat the Evil Andross’ forces. Players take control of Fox’s fighter from both a first person and third person perspective. 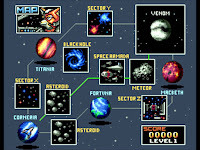 While the individual levels were on rails, players would have the option to choose from three different game paths, each a different difficulty level, which led to Planet Venom and the final battle with Andross. Using the Super FX chip the team behind Star Fox was able to produce, for the time, stunning 3D polygonal graphics. Although many argue that this game’s look has not stood the test of time, we at Nintendo Love Affair contend that the game’s classic look and feel has yet to get tired. 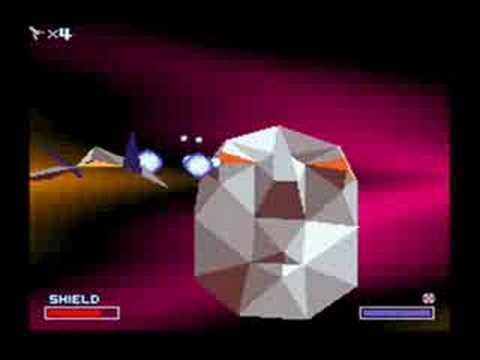 Although the game looks chunky and plain, the utilization of simple design elements (rectangular prisms…lot of rectangular prisms) may be what keeps Star Fox looking good to this day. 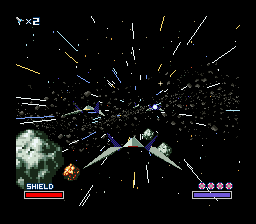 Differing opinions aside, I think we can all agree that Star Fox in itself looks unique and classic and will always have fans within the generation who first played it. Players can guide the Arwing through levels using the directional pad. Controls are tight and collision sensors in the programming are unforgiving. There were so many times we were left wondering what hit us. The direction of cannon fire is determined by which angle the ship is pointing. Lasers from the Arwing tend to find their target if you aim within a reasonable proximity of the enemy. Once in first person mode, there is a reticle to help aim. There is also a grid with in the HUD to help the player orient themselves while avoiding obstacles and enemy fire. There are upgrades for the Arwing such as the Twin Blaster (dual cannons), Wing Gyro (fixes broken wing), Smart Bomb (hold up to five), and Extra Ship (extra life). Collect these throughout the level and don’t miss the Supply Ring or Energy Supply. Those will refill your health and the supply ring acts as a checkpoint. Flying features such as roll and the full barrel roll makes dodging oncoming obstacles, enemies, and the onslaught of cannon fire an adrenaline rush. Every hit sends alarms into a panic adding to the frantic arcade action. 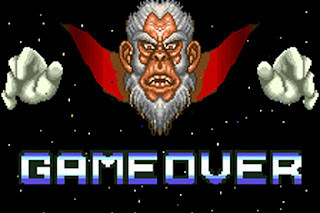 Combine this with a music score worth of Top Gun and Star Fox still entertains 23 years later… To the Max! 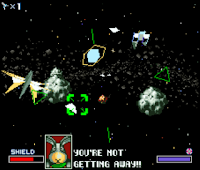 Star Fox is a classic 3D arcade shooter that has contributed much to the Nintendo universe, and the shooting genre. It is filled with a vibrant cast of characters, an iconic story of good versus evil, and enjoyable game play mechanics that keep players coming back for years. 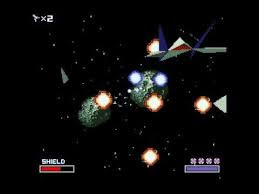 If you haven’t played the original Star Fox for the Super Nintendo Entertainment System then do yourself a favor and find a copy as soon as possible. 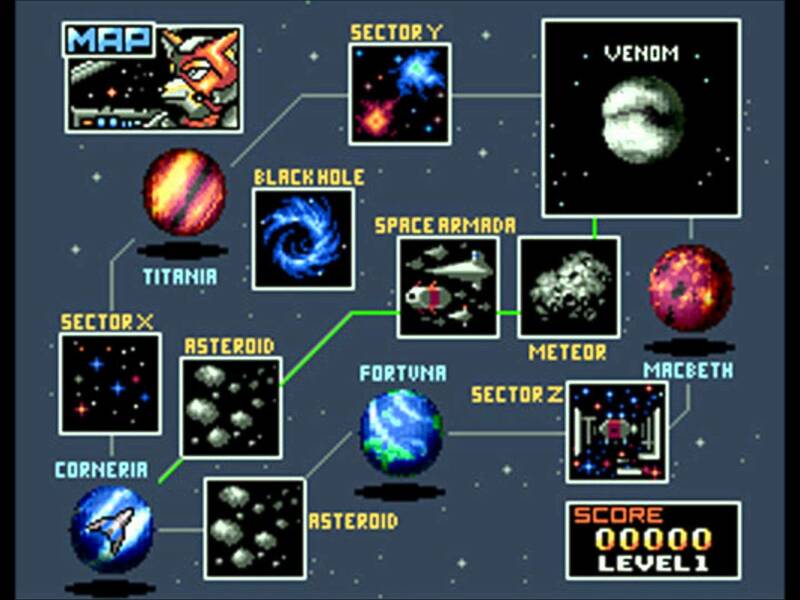 Have you played Star Fox on Super Nintendo? Let us know what you think of it in the comments below!